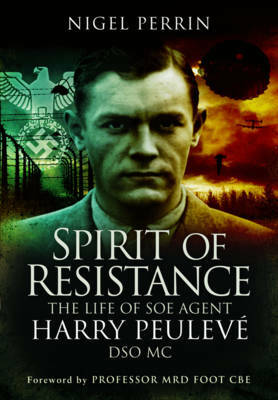 One of the most determined and courageous secret agents of the Second World War, Harry Peuleve' joined the BEF in 1940 before volunteering for F Section of the Special Operations Executive. On his first mission to occupied France to set up the SCIENTIST circuit, he broke his leg on landing and, after numerous close calls, made an heroic crossing of the Pyrenees on sticks in December 1942. Imprisoned, he escaped and eventually returned to England in May 1943.He formed a close friendship with Violette Szabo before setting out to train a Maquis group in central France. Despite the Gestapo's repeated attempts to catch him he built up a secret army of several thousand resistance fighters. Eventually betrayed and captured, he was tortured at Avenue Foch but never broken. By coincidence he and Violette met while in captivity before Harry was sent to Buchenwald where he not only avoided execution but also managed to escape reaching American lines in April 1945. Sadly Peuleve never fully recovered from his wartime traumas but nothing can detract from his outstanding courage and contribution. Buy Spirit of Resistance by Nigel Perrin from Australia's Online Independent Bookstore, Boomerang Books.